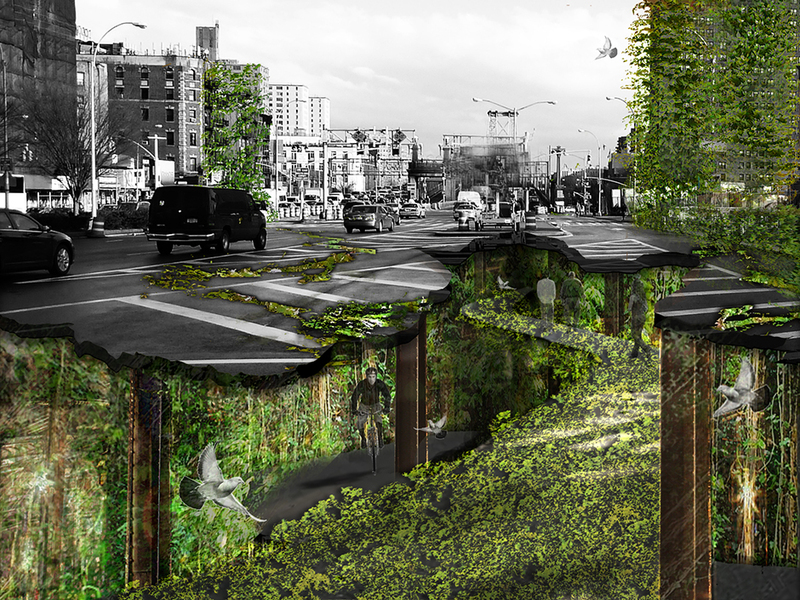 Beneath Manhattan lies an existing subterranean urban ecology of waterways and potential spaces for plant life to grow and thrive. 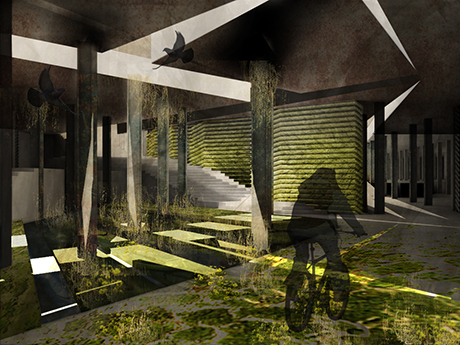 gang(GREEN) is an underground park that feeds into this network, spreading green throughout the city from below, erupting at moments to contaminate the grid and infect the island and its infrastructure, thus regaining the balance between nature and architecture. Manhattan was once an island of marshland and meadows. In the four hundred years since its settlement, infrastructure has taken hold of the island, choking back nature until its existence was limited to carefully gridded parks. What would happen if we were to let nature loose? Simmering just below Manhattan is a complex and interconnected world of waterways, subway tunnels and abandoned spaces. 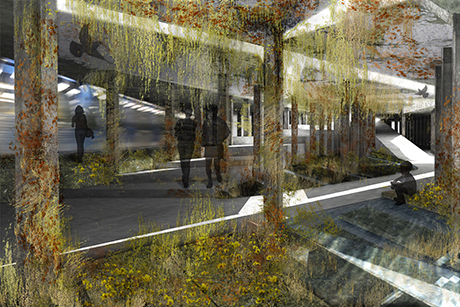 If we were to create a germination point, an underground park of moss, algae and lichen that fed into these networks, we could inject life into Manhattan's underground. Plant life could escape from the park, infect the underground and spread just below the surface. 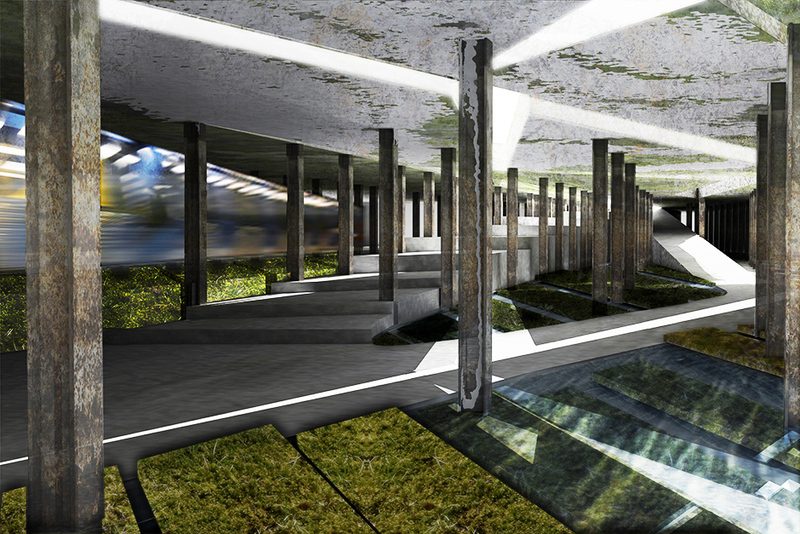 The Delancey Underground, an abandoned subterranean trolley terminal at the intersection between Delancey and Essex, provides an ideal testing ground for Manhattan's future landscape. 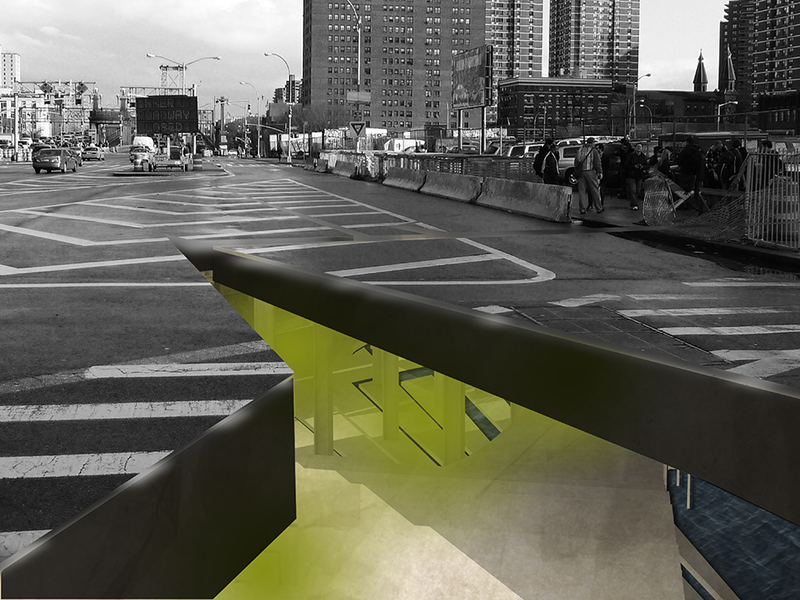 The East River's runoff has turned the abandoned space into a marsh in waiting, and its connection to the J, M, Z and F subway tunnels and to three sewage tunnels make it a powerful origination point. 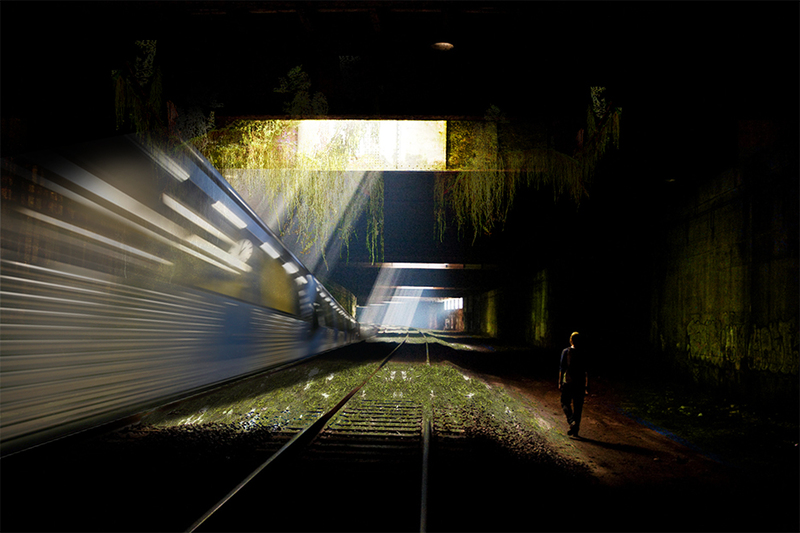 Imagine subway rides through moss lined tunnels or sidewalk grates through which plants creep from below. There is a latent ecology that has the potential to spread, to take over the undergound and to erupt, interrupting and breaking down the rigidity of the Manhattan grid. If we provide the infrastructure to enable rather than impede Manhattan's greenways, we can invent a new park ecology and typology. If nature were allowed to fight back, what would be the new Manhattan landscape?